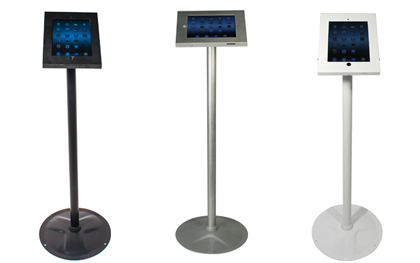 Look no further than our freestanding iPad holder if you need to display your website, portfolio or electronic literature at events, exhibitions or in reception areas. Displaying your iPad can be useful to provide an interactive experience for potential clients and customers to browse more information about you, your business and the products and services you provide. To keep your iPad safe, you can lock the tablet into place on the stand either horizontally or vertically depending on your preference. This will allow your iPad to be used for display purposes and will reduce the risk of it going missing, or of it being accidentally damaged. 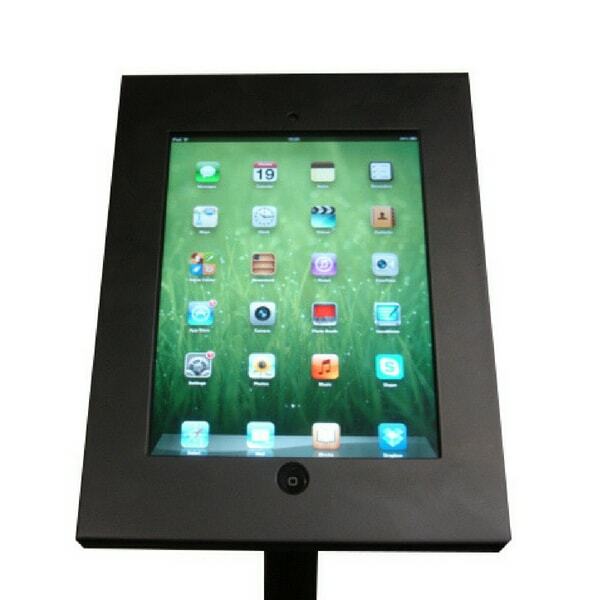 Assembled to a maximum height of 1060mm, this stand is the perfect height for interacting with your iPad. Personalise this product by choosing your preferred colour including black, white or silver. 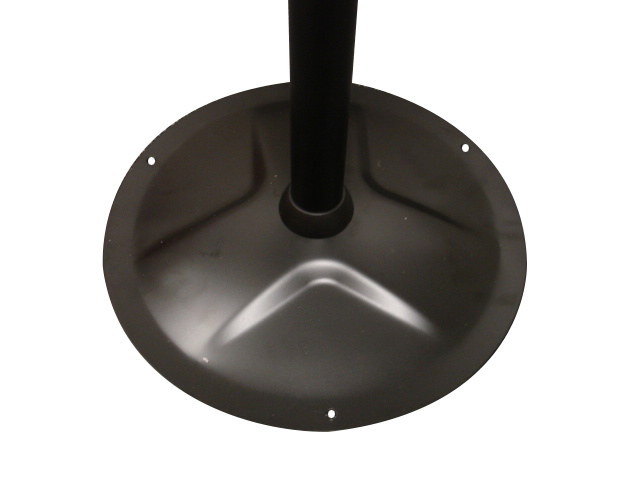 Compatible with Apple iPad versions 2,3 or 4, this stand is very versatile and will be a perfect addition for any display stand. 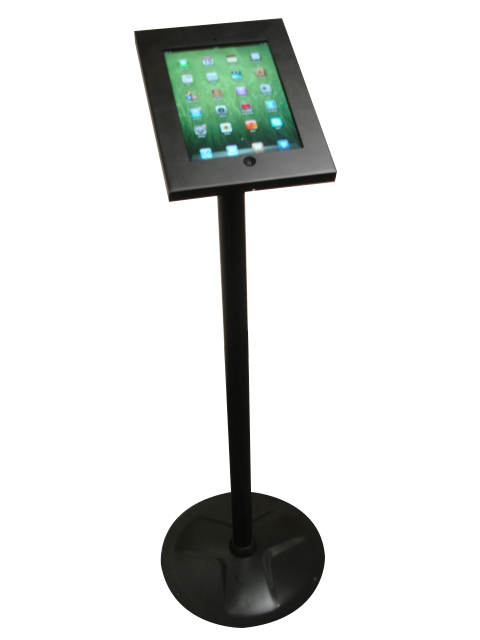 Please note that our freestanding iPad stand does not include an iPad!